Chandigarh February 22, 2019. Sh. Satya Pal Jain, Ex – MP and Chairman of the Social Welfare Committee constituted by the Administrator UT Chandigarh has urged the Chandigarh Administration to take an early decision on the recommendation of the Committee for enhancing the Widow, Old age and Disabled pensions from Rs. 1,000 to Rs. 2,000 per month. In a letter to Sh. 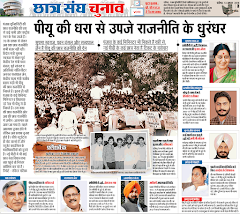 VP Singh Badnore, Administrator UT Chandigarh, Sh. Jain has said that the Social Welfare Committee in its meeting held on 26-11-2018 had unanimously recommended to the Chandigarh Administration to increase the Widow, Old age and Disabled pension from Rs. 1,000 to Rs. 2,000, per month. This recommendation was sent to the higher officers of the Chandigarh Administration on 4-12-2018 and the matter is still pending under consideration of the higher authorities of the Chandigarh Administration. 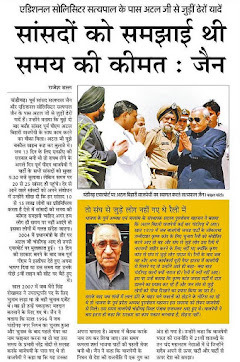 Mr. Jain said that in Haryana this pension has now been increased from Rs. 1,000 to about Rs. 1,800 – 2,000 per month. The beneficiaries of this scheme are people who need more social and economic protection from the society. In this view of the matter there is an urgent need to increase the pension at an early date. 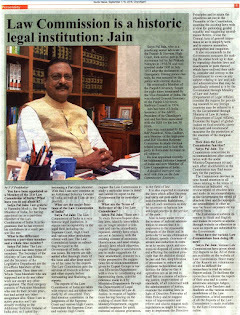 Mr. Jain also said that the code of conduct is likely to be imposed in the first or second week of March. Therefore, it will be better if a final decision is taken on this recommendation before that, otherwise the matter might get delayed by another 3 – 4 months.